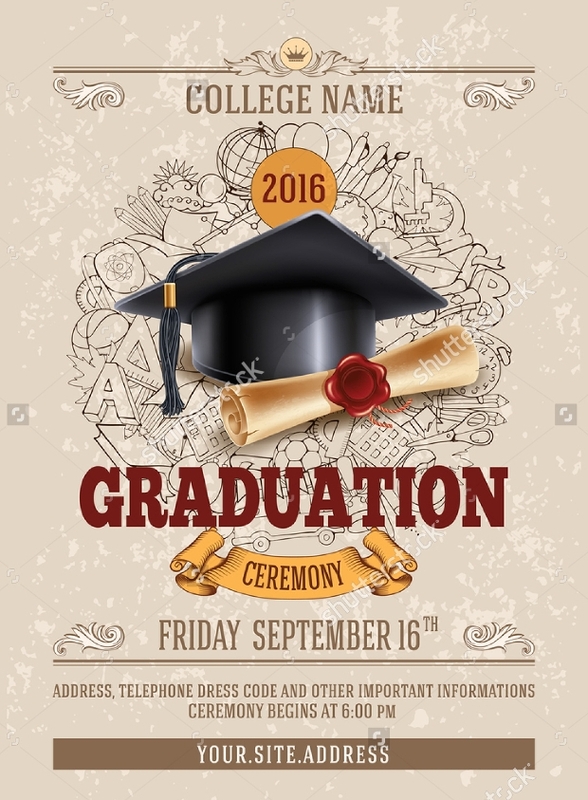 Now, who doesn’t want to make the graduation day one of the most momentous accessions of their life? The day calls for celebrations and decorations that speak loudly of the success of years of hard work and diligence. 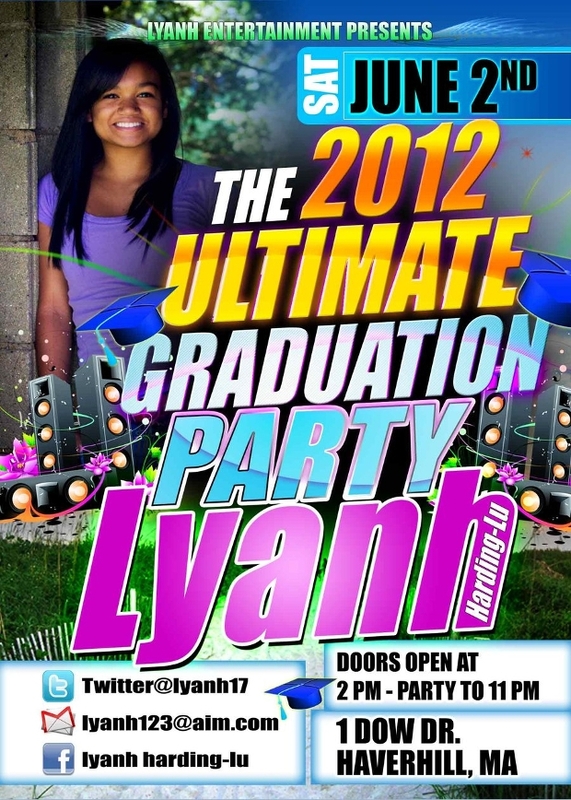 One of the most remembered aspects of this party would be the flyer you put up. 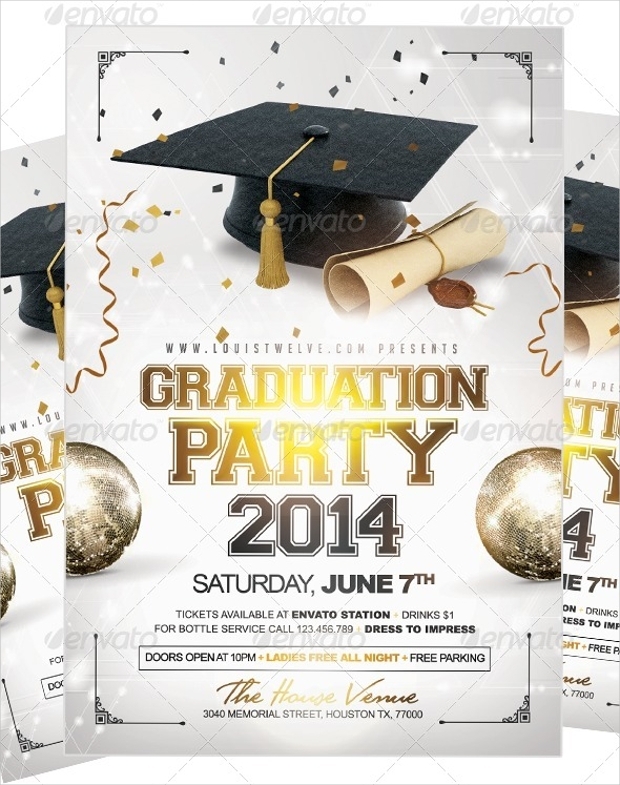 Here’s a beautiful collection of graduation party flyers that should ideally suit your arrangement. 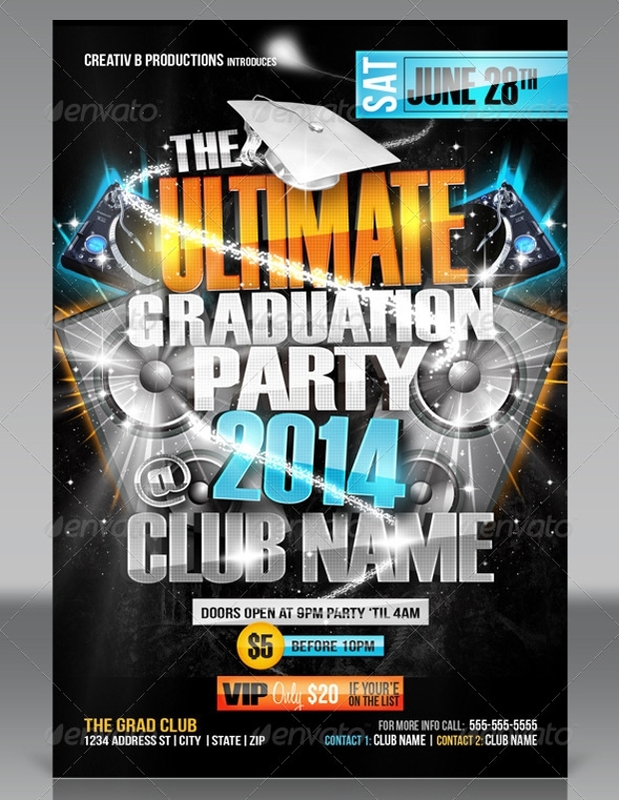 Each flyer is completely customizable and is ready to be sent to print. 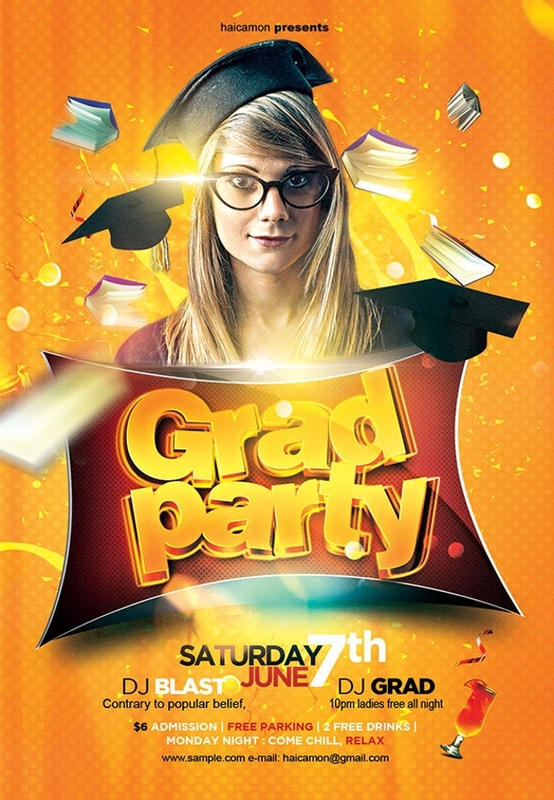 If you have been looking for a seriously cool graduation day flyer, this should be it. 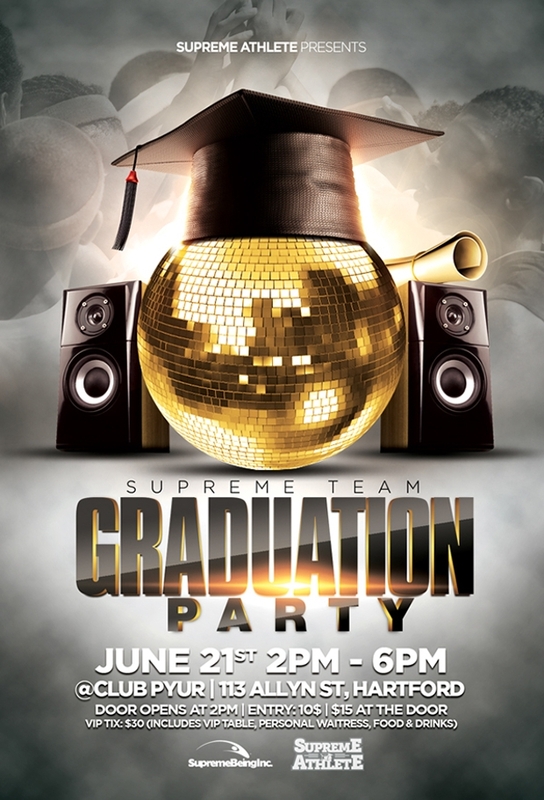 This is a party flyer that should loudly invite all guests to a night full of music, fun, and celebration. 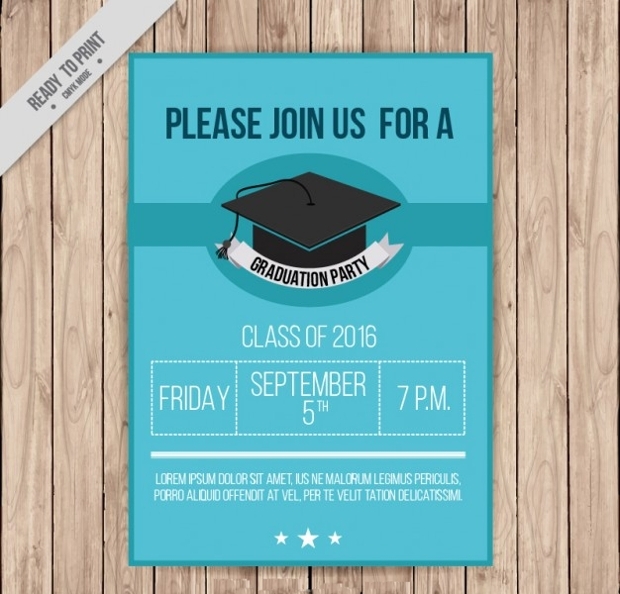 With several fields for customizations and putting in relevant information, you will have the gorgeous flyer put up in no time. 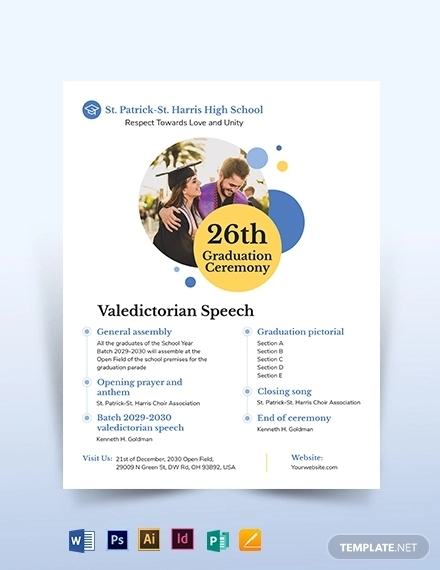 This flyer design suits a solemn declaration of a day of celebration on the occasion of your achievement. Designed simply, you can choose to completely customize the text fields to put in relevant information. Available in 300 DPI resolutions, you can blow it up to any extent when printing. 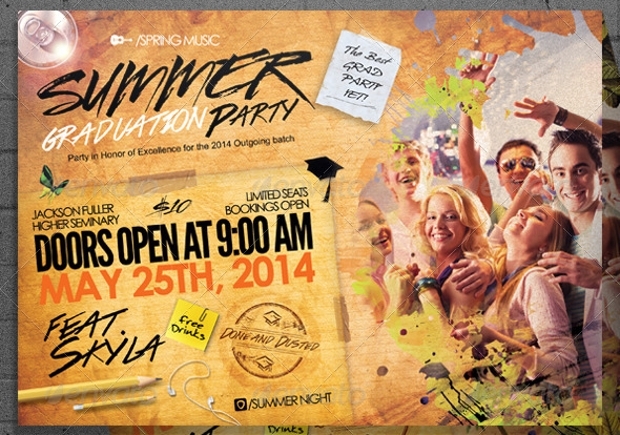 Have you just graduated and looking to celebrate the day? 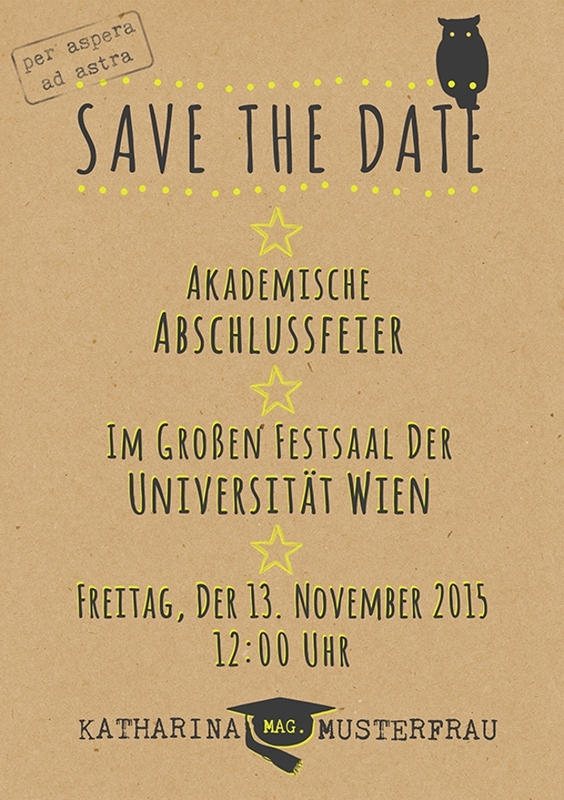 Well, this would a good choice to declare a fun event while marking the day in a big banner. The design takes an antique theme and would be a fun way to enjoy the day. 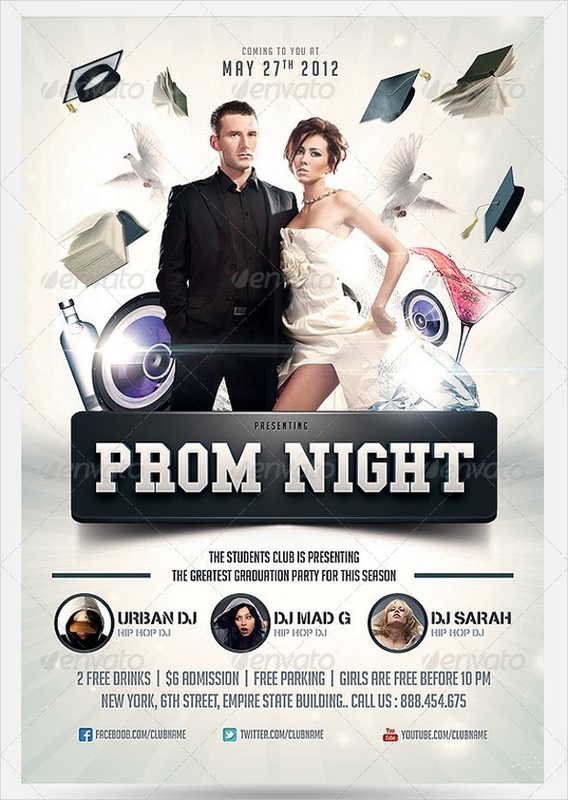 The prom night is an event that every graduate looks forward to. Well, you have earned the day and this poster design ideally suits the event. Integrating a retro look, an onlooker will easily understand what’s in store for the night! 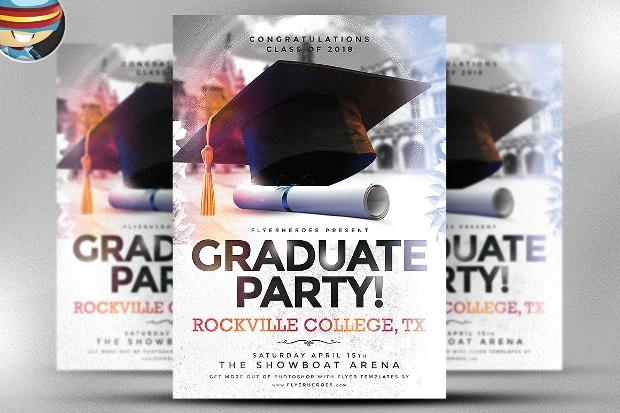 Looking to promote your graduation day celebration all across the campus? 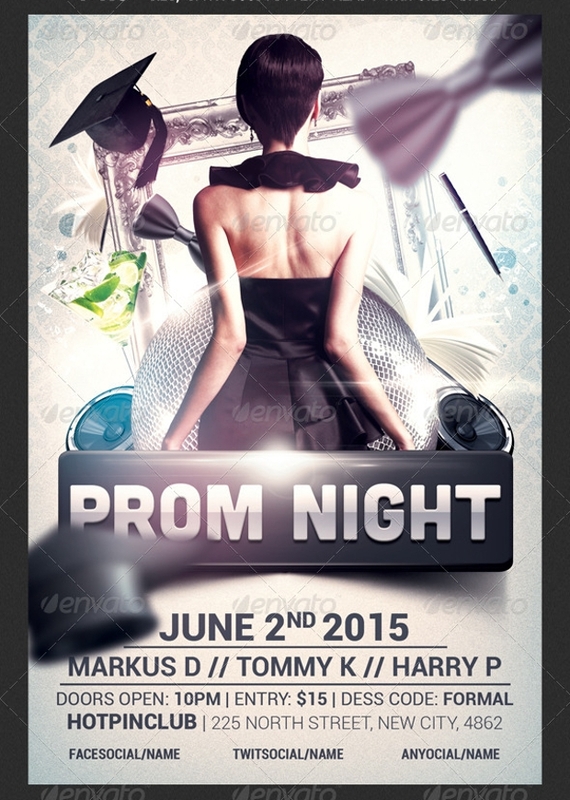 This eye-catching poster integrates all the elements that right marks the occasion. Fully customizable, you have several editable text fields to put in all relevant information. 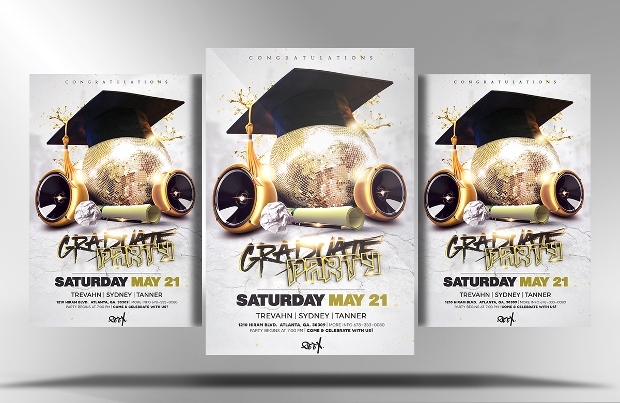 A very artsy and retro themed flyer for your graduation party, the design integrates both your graduation party hat and party balls to speak of the night coming through! The text fields are completely customizable and you will have put up your flyer in no time. 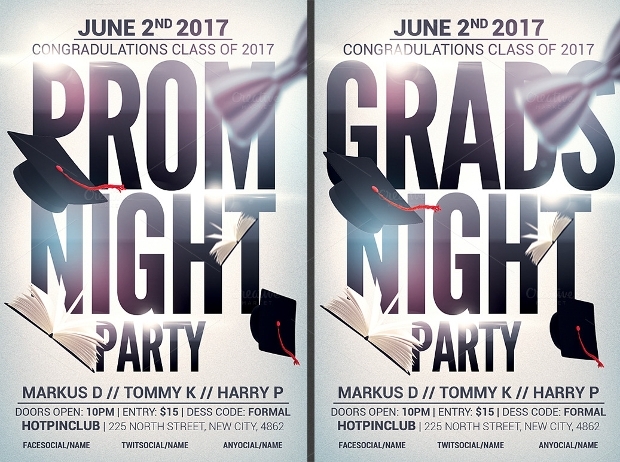 A highly creative theme for a graduation prom party, this has a mysterious and subtle element to it. 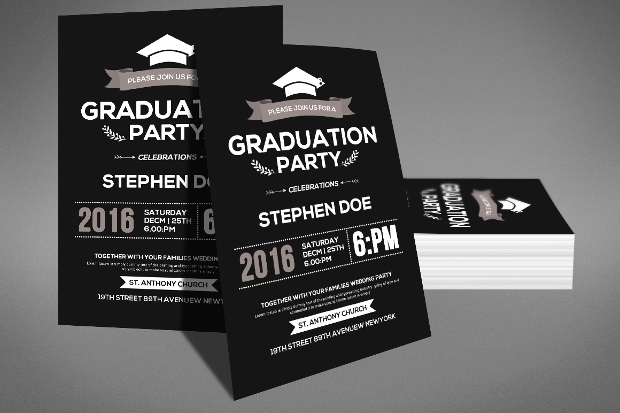 The design is perfectly applicable to any graduation party and further comes as a customizable design. 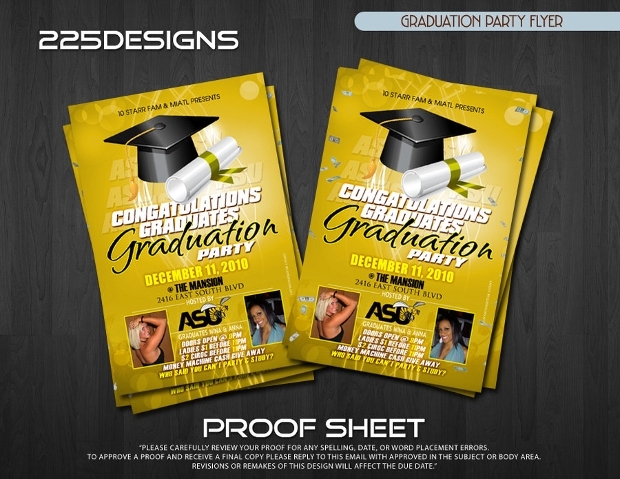 You even get the font files with the template to stick to the design scheme of the flyer. Graduating this summer? Well, we are already ready to make your celebration more fun. 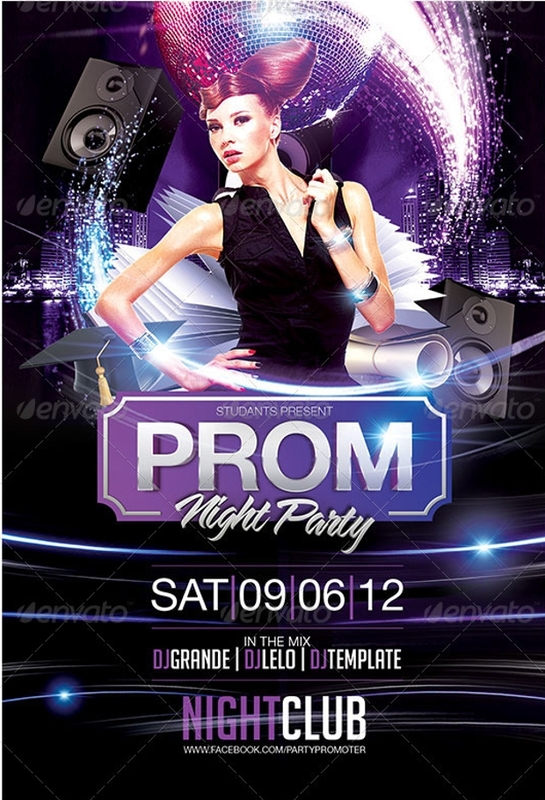 This incredible party flyer speaks of a night that will be remembered for a lifetime. 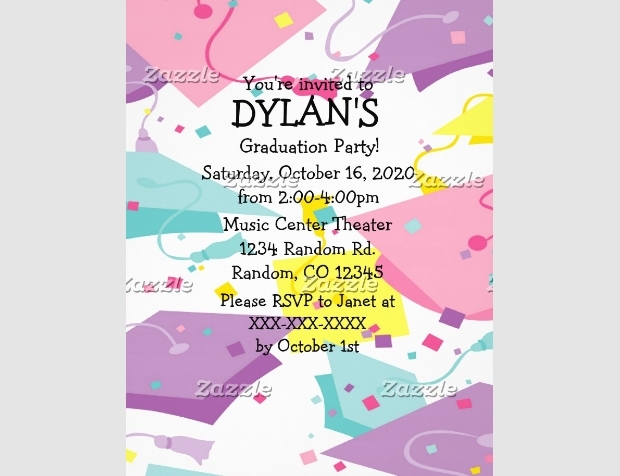 Allow yourself the convenience of using this party flyer and spend less time worry about organizing the event! The graduation day calls for congratulations. We hope you have found the perfectly elegant flyer for the day. Do leave us a feedback on what you had to say about these flyers!